There's a lot to be said for blunt, literate dialogue between two characters--something more common to plays, books, and high-caliber TV dramas than today's big-studio releases. Equally refreshing are movie romances minus the pinches of Hollywood fairy dust that often cloud the screen, especially if you prefer to see relationships with some semblance of real life. 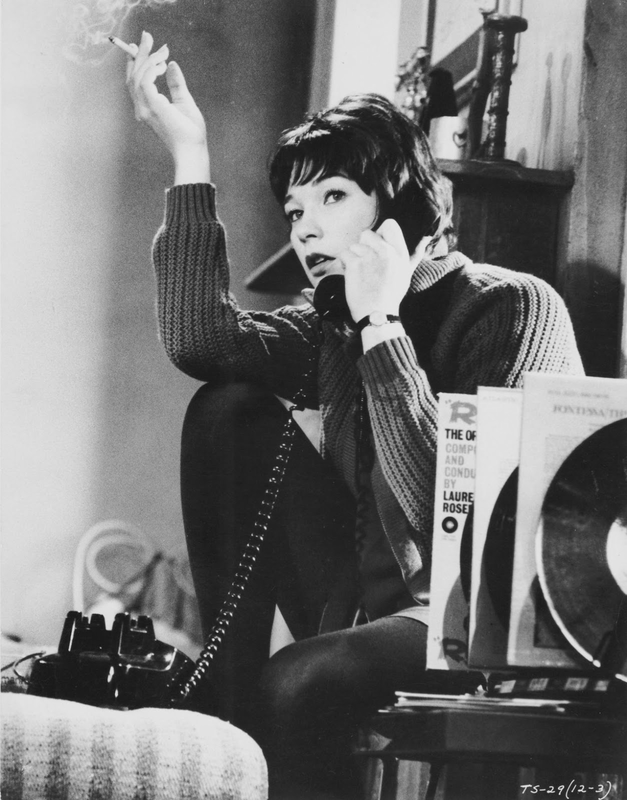 Functioning as a kind of companion piece to Billy Wilder's The Apartment, only less witty and with a narrower scope, Two for the Seesaw thrives in its carefully observed portrayal of two lost souls learning to trust each other in 1962 New York. The details are what sell it. From the Oscar-nominated location photography to the peeling paint inside the cramped and sagging downtown dwellings, this is a world that's been lived in. Not that the film is some gritty kitchen sink drama soaked in gin and reeking of broken childhoods. But director Robert Wise seems to have taken great care to dispense with movie shorthand and actually show what living in New York was (and still is) like for the average striver. Accounts are regularly tallied, dollars saved, geographical integrity honored. 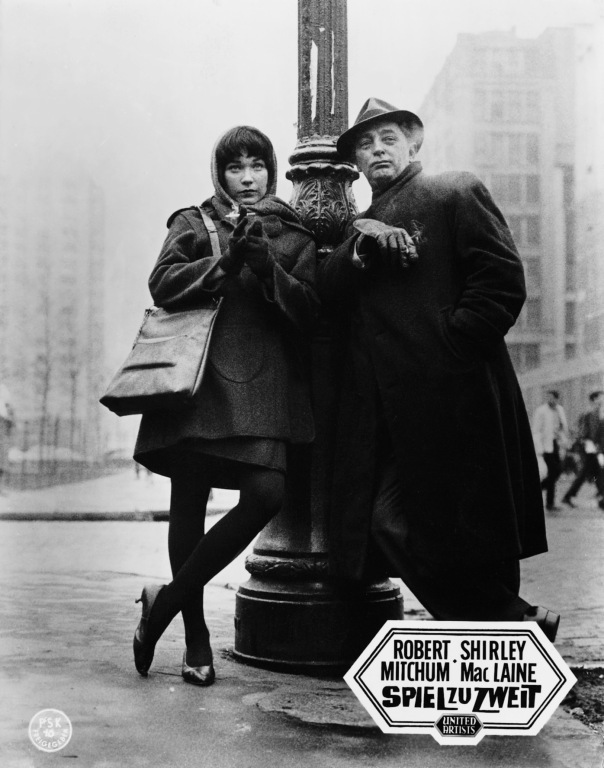 Given the film's pedigree--from the director of West Side Story, starring Robert Mitchum and Shirley MacLaine, shot in gorgeous widescreen black and white--such fidelity comes as a refreshing surprise. At the center of this glimpse back at Don Draper's (actual) New York is an adult romance about two opposites discovering each other while in that limbo between shedding one life's skin for another. Mitchum's Jerry Ryan has been moping about Manhattan trying to re-find himself after abandoning a legal career and a 12-year marriage in Omaha, Nebraska. With no job and no friends, he's in desperate need of an emotional savior. When he runs into MacLaine's goodhearted struggling dancer, Gittel Mosca, he thinks he's found her. Gittel, a Bronx waif nearing 30 and still living hand to mouth, has spent her life thinking mostly of others. Like Marilyn Monroe's Sugar in Some Like It Hot, her generosity and essential goodness have left her stuck with the fuzzy end of life's lollipop. Jerry meanwhile has received more than his share of handouts in life. He immediately recognizes Gittel's propensity for charity and decides that what will save them both is if he learns to give and she to receive. But she can see him just as clearly, and never hesitates to call him out on his true motivations. 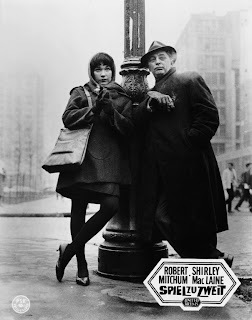 The emotional wrangling between Mitchum's older, educated lawyer and MacLaine's disarmingly candid New Yorker is handled with enough humor, frankness, and convincing shades of gray to keep you invested in both. Adapted from a 1958 Broadway play by William Gibson, Two for the Seesaw is effectively opened up for the big screen and naturally remains a bit talky by today's standards. But when the talk and characters are as well realized as they are here, such dialogue is like a six-course meal to the starved gourmand. There are only a few dated elements to distract the modern viewer--Andre Previn's occasionally overemphatic score, MacLaine's broad New York accent and inconsistent wigs--but there's so much that feels right, these are easily forgiven. Unlike the Neil Simon comedies that would soon proliferate on stage and screen, the conflicts shared by these lovers searching for common ground feel properly rooted--each defeat humbling, every victory earned. There's nothing flip or coy about it. Yet for all the realism and clash of hearts, this is no hysterical soaper or gloomy downer (no George and Martha, these two). You're rooting for them all the way--for these flawed individuals with their failed lives who recognize in each other the need for a second chance. Even until the very end, you're not sure they can help each other find it. NOTE: This title expired from Netflix Instant on 5/1/13. If you're interested in purchasing the DVD, please consider using the link below to support this site.